This is not a great question for me to start out with, because for me, the answer never changes. Music is great, I like hearing new songs, etc., but the best song ever written is Thirteen by Big Star. I will not take any questions. Thank you. We all love RuPaul's Drag Race and in particular, Season 9 winner Sasha Velour. I had the absolute pleasure of seeing Sasha Velour perform live at a War on the Catwalk event at the lovely Folly Theater in Kansas City. It was...stunning. She performed Kesha's "Praying" dressed as some kind of beautiful/hideous monster woman/cloud in a night sky??? All I know is that I was in the presence of true artistic majesty and I experienced a catharsis so complete I burst into tears every time I thought of it for days afterward. I mean godDAMN. Although it is not strictly a film or TV show, I recommend watching Sasha Velour perform "Praying" on Youtube. I swear you will be a better person after you've seen it. Boy oh boy, have you come to the right place! I'm a children's librarian and credentialed professional book person, so you can trust me. I do storytime for preschoolers and babies, and rarely get to recommend grown-up books, so here is my chance! 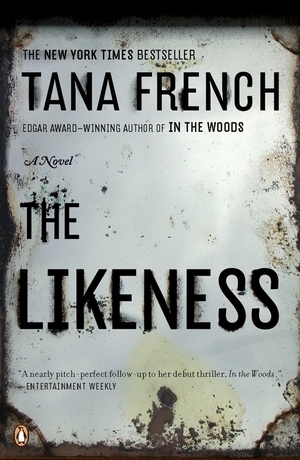 If you are a grown-up, I recommend everything by the mystery author Tana French. Her books are enthralling, literary, occasionally gruesome, atmospheric, and tightly plotted-- basically perfect. Her best books (but really, they're all SO GREAT) combine mystery, psychological horror, and elements of magical realism: In "The Likeness" a detective reports to a crime scene to find that the murder victim looks exactly like her, and in "The Secret Place" a group of tight-knit adolescent girls discover they can levitate. French is also a master of creeping horror. In "Broken Harbor" a young father, trapped in an upside down mortgage in a half-finished subdivision, becomes convinced there's a huge dangerous animal living inside the walls of his house. It can't be true, but French is so good she makes the deepest part of your brain think "But what if it is?" It's similar to the sensation of knowing you're safe in bed, but also KNOWING if you drop your hand over the edge of the bed a demon will drag you down and eat you. 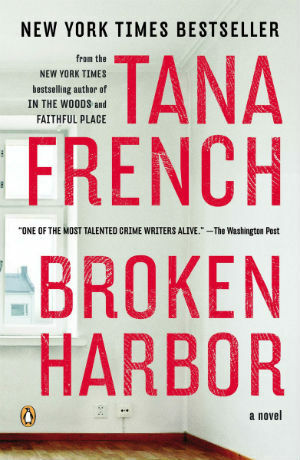 Most of French's books are a loosely tied-together series centering on the fictitious Dublin Murder Squad, and they can be read in any order. Quit reading literary fiction written by men, and read these amazing literary mysteries written by an awesome woman! Since I am a children's librarian, I also have to recommend a truly gorgeous picture book: Julian is a Mermaid. I actually don't want to tell you too much about this book. Just go buy a copy and give it to all your friends with kids. Suffice it to say it is exuberant, affirming, necessary for these horrible times, and it made me cry. One of my favorite parts of the internet is a little corner of Reddit (I know, I know...) called NoSleep. NoSleep is a hub for original horror writing. Some stories can be read in under a minute, some are multi-part novel length stories with multi-media elements. I recommend sorting by "Best of All Time" and reading your way down. Also, unlike literally everywhere else on Reddit, the comments are good! NoSleep comments are often very smart and pick up on elements of the story you might have missed, and sometimes the authors return to add more detail or updates. It's a nice little community bound together by a need to read and tell upsetting horror stories. I like to put my phone on dark mode and read NoSleep just before bed. It's oddly soothing. Gosh, I realize I've recommended a lot of horror stuff! I am not the first to theorize that horror as entertainment has an important psychological function. When the news is literally horrifying (They put children in cages. CAGES!) immersing yourself in stories of monsters and murders is strangely comforting. Maybe it's a way of testing yourself, or maybe the only thing that can distract from terror and helplessness (There are literal Nazis running for office and carrying torches in the street and a third of the country thinks that's OK) is terror and helplessness of your own choosing. So my recommendation is horror as self-care. When you find yourself hyperventilating at 3am as you scroll through Twitter, feeling powerless despite knowing you've done everything you can, distract your brain with horror fiction! Feel-good stories and pictures of kittens work sometimes, but in truly dark times you need a more powerful brain-cleanse. I find the spooky tingle of a fictional murder more bearable than the abject horror that my neighbors might be deported. Perhaps you will, too! Wow, this got grim. OK, here's a happier recommendation: Have you ever tried dipping tater tots in mayonnaise? Delicious! OK folks, there you have it. Things that Grace from Dragon Inn 3 thinks you should consider incorporating into your day/life. Before you log off to go find some haunted mayo to dip your spooky tots in, make sure to follow Dragon Inn 3 on the Facebook / Twitter / Instagram and swing by Bandcamp to give that Dragon Inn 3 debut a little bit of ear time.